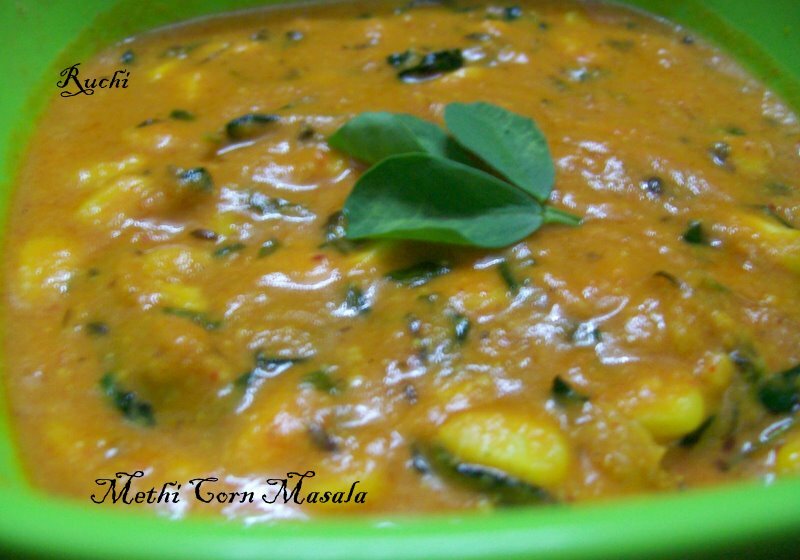 Methi Corn Masala is a tempting quick vegetable recipe It is a combination of a fresh fenugreek leaves& Corn. The Sweetness of corn and bitterness of the methi and just adding few more flavors are infused to complement the sweetness of corn. This dish very tasty and easy to make. 1. Soak cashew nuts in milk for 30 min . 2. Blend together cashew nuts, ginger, green chili and tomato, into smooth paste. 3. Heat non stick pan on medium heat, add oil or ghee.Add cumin seeds, wait until seeds crackle. 4. Add cashew paste cook until oil separates, stirring occasionally. 5. Add chopped Methi leaves and stir fry for 2 minutes. 6. Add red chili powder, turmeric powder, Garam Masala powder, sugar and salt, mix well. 7. Add corn with 1/2 cup of water, cook for 5 minutes or until thick. 8. Now add crushed kasuri methi and stir it nicely and let it cook for 2 more mins. Serve hot with Roti, Paratha or Rice. Looks yummy and delicious. Glad to follow u Jayshree. You have a nice space. looks really creamy and delicious. Thats a delicious, creamy gravy!!! 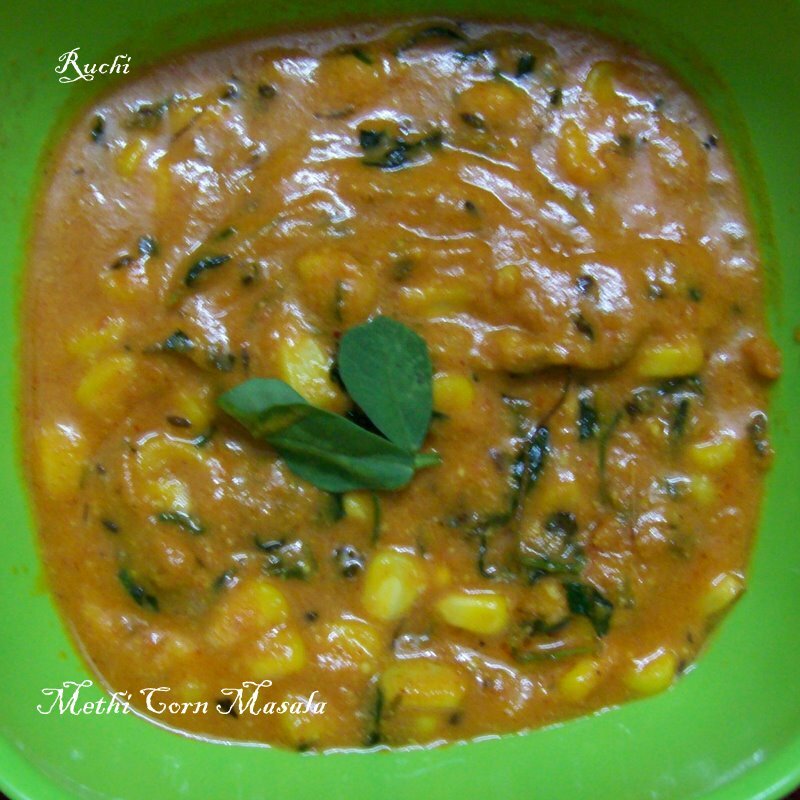 Nice recipe with corn,looks delicious and rich!